This startled MP has seen everything. Luckily there wasn’t any traffic to snarl up when the Jap inventor drove his tiny, electric-powered car down a Tokyo street. Named the “Baby Star,” it is about one-fifth the size of an ordinary automobile. A 400-watt motor, developing one-half horsepower, runs it for three hours at 25 miles an hour before the batteries need recharging. It can be converted to use gasoline. A homemade job, the wheels of this bantam auto were taken from dismantled airplanes. It is supposed to be a two-seater. 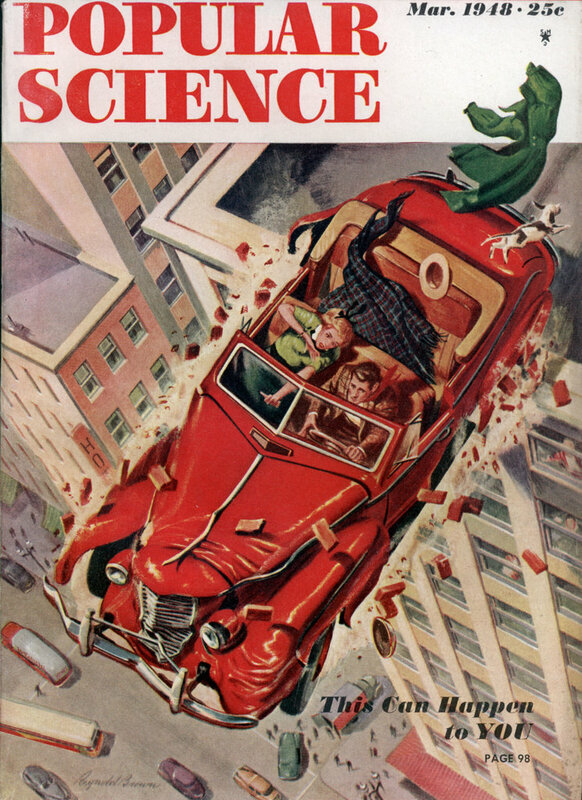 Check out the PopSci cover for this issue. THIS CAN HAPPEN TO YOU. I guess by “THIS” they mean you might run your car into a brick wall only to immediately be teleported ten stories in the air while maintaining your forward momentum. Al Bear — I think you have to consider the date. This was just 3 years after the war in which thousands of young Americans died fighting the Japanese. 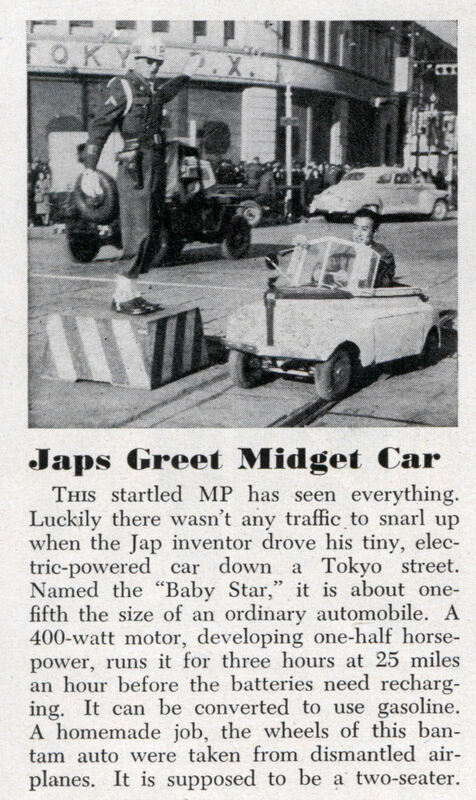 The epithet Jap was in common usage in the U.S. and “made in Japan” meant junk. Times change. Charlie, please post that article from the cover!